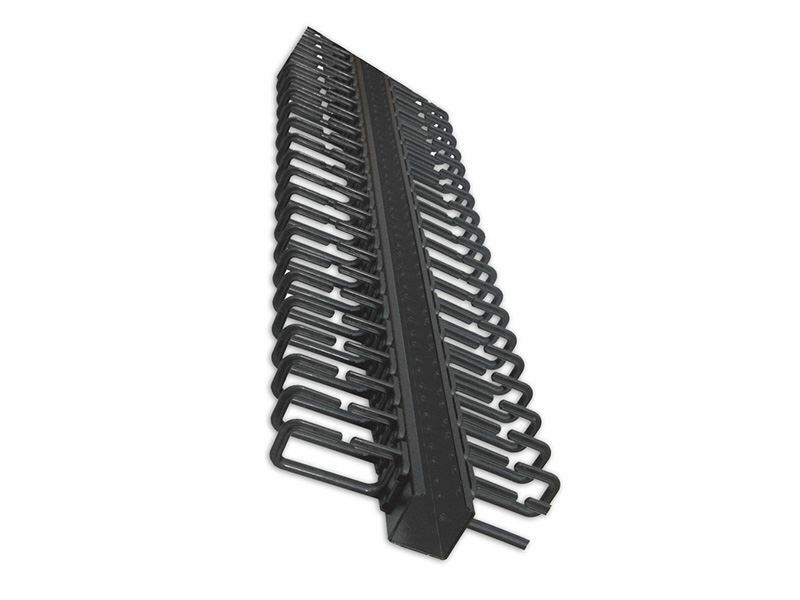 This Vertical Cable Manager was designed for use with Quest 6ft. & 7ft. floor enclosures. It is constructed of a steel mounting plate with high resistant nylon rings, has a cable capacity of up to 100 cables, 50 on each side, and comes complete with mounting hardware. These cable managers have a black microfinish to match our rack color. Rack Size Width (Internal) 1.75"